Gierach's probably fly fishing's most widely read essayist, a testament to his deceptively folksy writing (he packs a lot of meaning into a few words) and his absolute commitment to the fly fishing life.Fly fishers will have to admire his tenacity; early in his life, Gierach decided to fly fish for a living, and he made it happen. 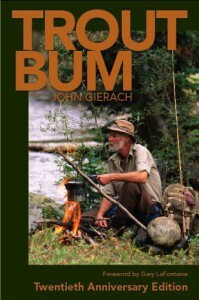 Trout Bum was first published in 1986, and this 20th Anniversary hardcover edition of Trout Bum includes new forewords from other fly fishing writers. In between, Gierach has published a long list of essay books (and a small handful of how-to efforts). 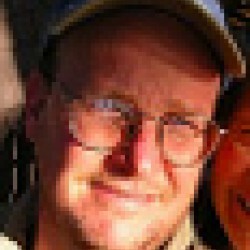 Gierach doesn't waste a lot of words on gear and how-to information -- he's living the life so many fly fishers can only dream of, and writing about it in a direct, friendly, accessible manner.